The talk is by The River Thames Boat Project – past, present and future – Skipper Peter Oldham. The Project is currently renting our office. 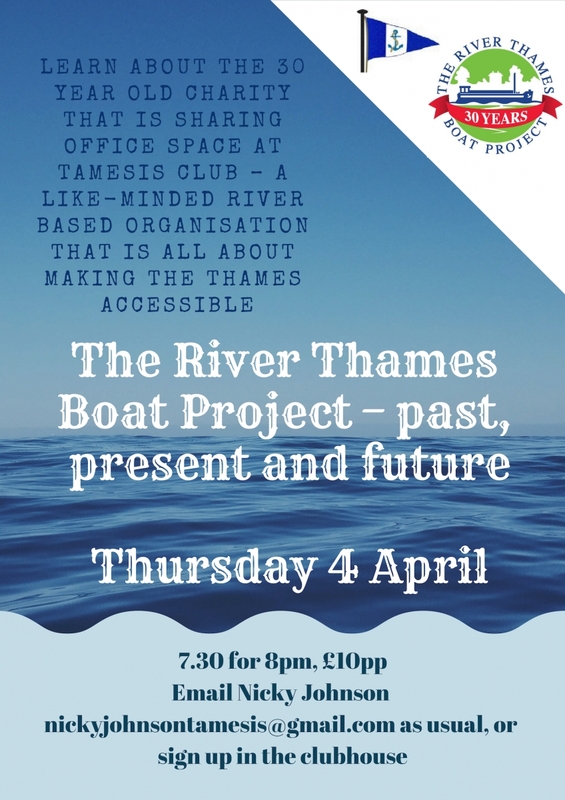 Learn about the 30 year old charity that is sharing office space at Tamesis Club – a like-minded river based organisation that is all about making the Thames accessible. The talk will cover key milestones about how the charity started, our progress to today and having 2 boats and sharing the benefits that time on the water can bring. Our beneficiaries include people of all ages with disabilities, elderly people and Primary School children.